Don’t dry up #1. Your next business event is a goldmine for content. Don’t miss out. 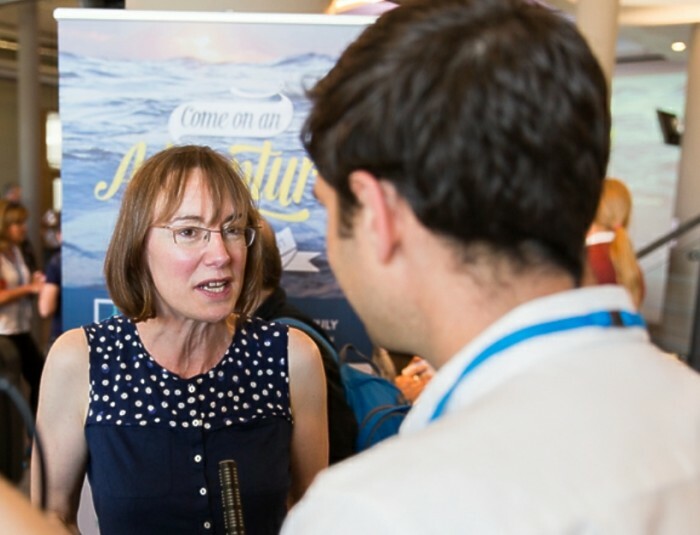 Whenever you’re setting up an event for your organisation – networking session, presentation, away-day or client conference – don’t just think of it as a ‘one-off’ in your calendar; here today, gone tomorrow. When a group of people who have an interest in your business gather together, it’s an ideal opportunity to create some new articles for your blog, news page or newsletter. It’s not a typo. It’s a bad, home-grown pun. But it sums up the content production opportunities of any event. If you’re canny, you can amass ideas and quotes that will feed your hungry blog / newsletter schedule for the three to six months that follow the event. That’s right. Up to six months’ worth of material gathered in the space of 24 hours. Crucially, if you’re organising an event for clients, it’s content that will be relevant to them, because it’s shaped by their words and views. Let’s take client testimonials as an example. Do these short bits of copy give you a major headache? Do they slip down your company’s ‘to do’ list, even though you know they’re crucial to winning new business? A testimonial that chimes with your target audience will work tirelessly round the clock for you, on your website. But getting new quotes is often hard. Your clients are busy and are difficult to pin down. They’ve got to sit and think about your value and write it up nicely for you. Solution: remove that effort from them at a time when they’re already thinking positively about your organisation. That is, when they’re attending your event. Once your clients confirm their place, ask them if they would like to share their views on you and their sector at your conference. It will only take 5 to 10 minutes, as part of a relaxed interview, tapping into their expertise. No, they don’t have to do any prep work, because if you ask them open questions – ‘how’, ‘why’, ‘what’ – you’ll extract the information you need. They’ll instinctively know the answers, because this is what they do every day. It’s a good idea to record your conversation, in audio or video, so you capture your client’s exact words. This is not only important for accuracy. It also makes the tone of the testimonial more authentic, precisely because it’s conversational. You’re not staging anything and your client is saying what they really feel. That will make the copy on your website stand out. Once you’ve recorded and transcribed the sections you need, there’s one last thing. Offer to give your client ‘copy approval’ – a chance to look over what you have written – to make sure they are happy with it. And don’t forget the photos. Book a good photographer for the day, to take portrait and action shots. I’m a fan of photojournalists, whose quick reflexes make pictures come alive. In the course of a few hours, you’ll be able to ‘bank’ a vast number of visuals, which will add colour to your social media and website for weeks or months to come. 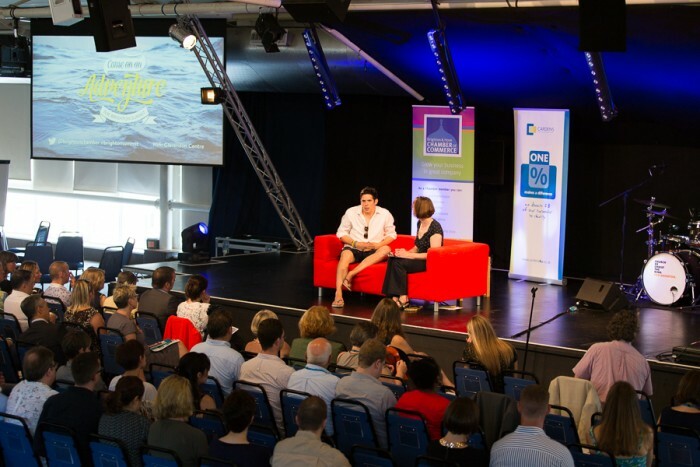 The photos I used for this post were all taken at the 2014 Brighton summit. I’ve kept some of them in reserve for the last year, ready to use when I need them. Like now. 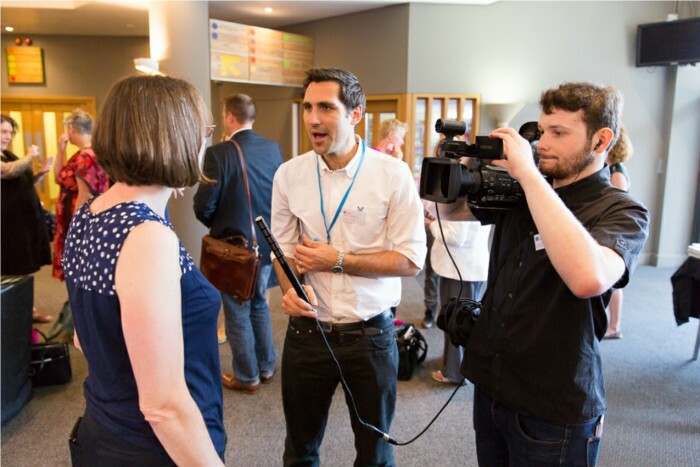 I’ll be collecting another haul of photos, film and audio at the 2015 event on Friday 16th October – A Day for Growing Your Business. Watch this space. Need more ideas to keep your website fresh? This post is one of a series I’m writing to help your company to keep going on the content front. It all began with a commitment I made to myself ‘not to dry up completely’ for October. At least, not when it comes to writing. Between now and Christmas, I’ll prove that content generation doesn’t have to be a long hard slog. Next week I’ll show you how those conversations with other conference delegates can offer up much more than testimonials. If you meet someone who brings a new perspective to your sector, the chances are they’ll be happy to share it. Thanks to SiteVisibility’s founder, Jason Woodford for doing just that. And if you’d need a sounding board for ideas in the run up to your next company event, give me a call today on 07456 416 475 or email me. Don’t dry up #3. Content saved from the cutting room floor. Don’t dry up #6. Put your home grown content in the spotlight. Don’t dry up #2. Use national days, weeks and months for content ideas. Speed storytelling: a confidence boost for your team; compelling content for your company website. Get new insights about your business every week. Win that business. Write as you speak. Have you told your ‘before’ and ‘after’ stories yet? Honestly speaking, this is how to tell your business story. Sabio MI: wisdom grown from hands-on experience and hundreds of conversations. Stories that do your business a big favour.